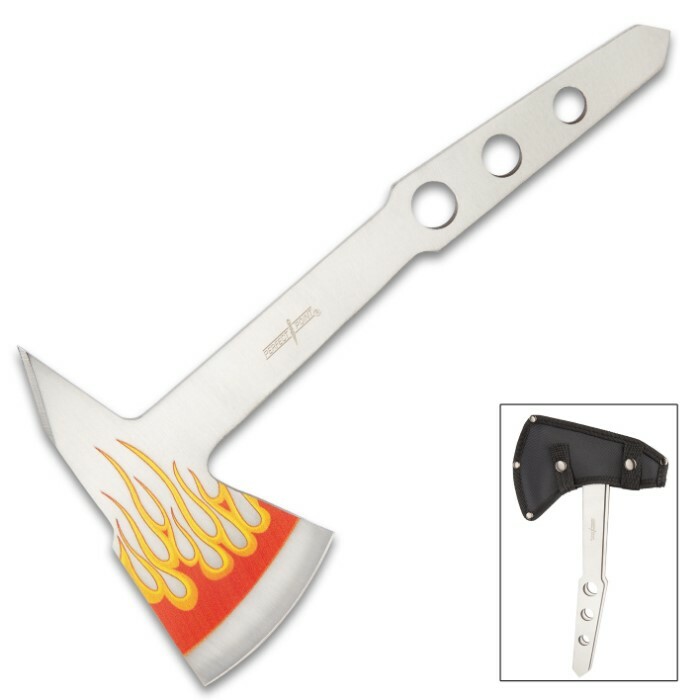 Perfect Point Flaming Axe Throwing Set With Sheath - 3Cr13 Stainless Steel Blade, Embossed Printed Design - Length 10 1/2" | BUDK.com - Knives & Swords At The Lowest Prices! Perfect Point Flaming Axe Throwing Set With Sheath - 3Cr13 Stainless Steel Blade, Embossed Printed Design - Length 10 1/2"
Feel the heat coming off our Perfect Point Flaming Axe Throwing Set when you hurl them through the air! Each, of the two axes, is constructed of 3Cr13 stainless steel with a sharp 2 3/4" blade and thru-holes in the handle. 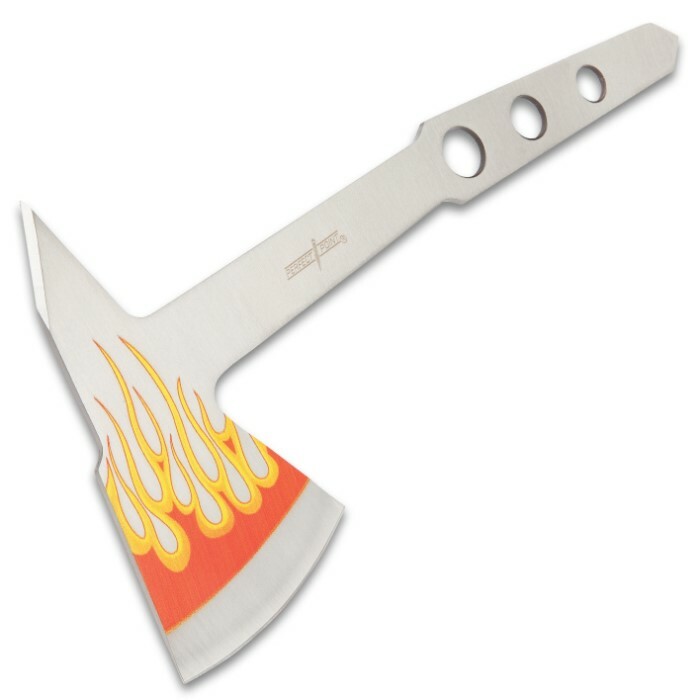 The embossed, printed design, on each axe head, is a vivid depiction of red-hot flames, which flow back from the blade. 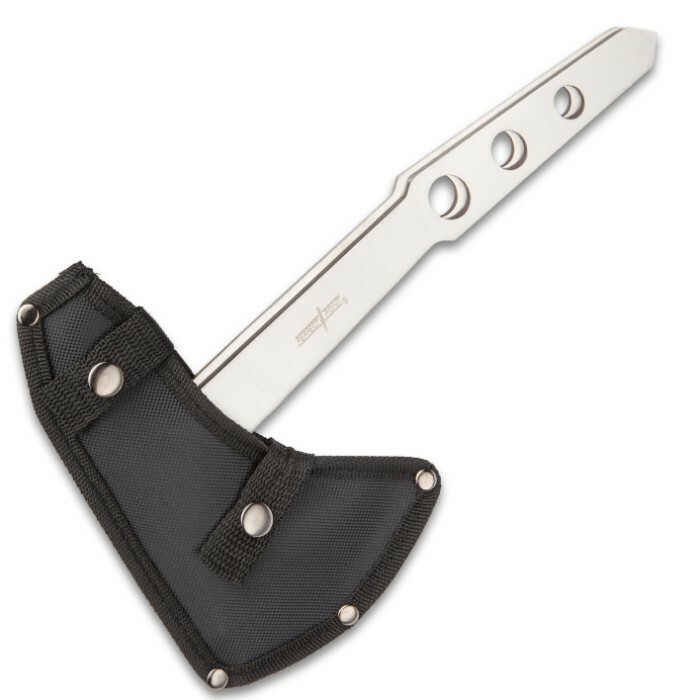 The throwing axe set comes housed in a tough nylon sheath with a snap closure and each axe is 10 1/2” in overall length. A one-piece construction combined, with a sharp blade, make these perfectly balanced throwing axes a target magnet!